Many don’t like to see stores stocking back-to-school supplies as early as mid-July. I personally love it! As a parent and educator, I believe it’s a fresh start for students and teachers. Here at Florida Virtual School, we have students who take classes year round in our Flex program, but we also have students who follow a more traditional calendar with our Full Time program. Full Time students will be returning to school this month, and I want to share some of the exciting things happening this school year. To get a better idea of what Computer Science Education Week and Hour of Code is all about, FLVS Content Writer Irene Pynn-Cunha sat down to chat with Amie Ross, FLVS Computer Science instructor. Mrs. Ross looks forward to Computer Science Education Week every year. 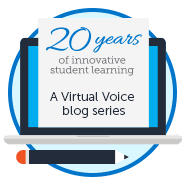 In the past, she’s worked with students both online and face to face. She loves watching mental light bulbs go off all around the room as, one by one, students who thought they would never learn to code begin solving programming puzzles. This year, she’ll be helping students with one of her favorite puzzles: a storybook about Santa’s missing socks. It may seem like a simple exercise, but by the end, students discover they’ve just worked through a challenging computer science concept: the binary search. 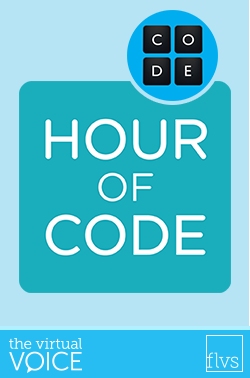 Join an Hour of Code! Computers are everywhere, but fewer schools teach computer science than 10 years ago. The good news is, we’re on our way to change this. If you’ve heard about the Hour of Code before, you might know it made history. 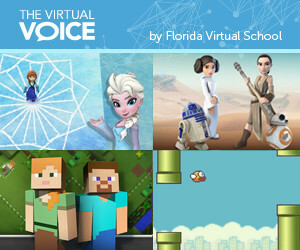 More than 100 million students have tried an Hour of Code with fun online games and tutorials featuring Star Wars, Minecraft, and Frozen. 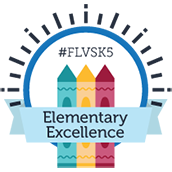 This year, students of the FLVS STEM Club will give presentations about creating websites and more. Last year, every Apple Store in the world hosted an Hour of Code and even President Obama wrote his first line of code as part of the campaign.